The Ellerbeck Mansion Inn is a first class bed and breakfast originally built in 1892 and recently renovated. It is a large, classically restored, charming, Victorian eclectic home on a large peaceful lot at the base of the renowned Historical Avenues District in the heart of downtown Salt Lake City. 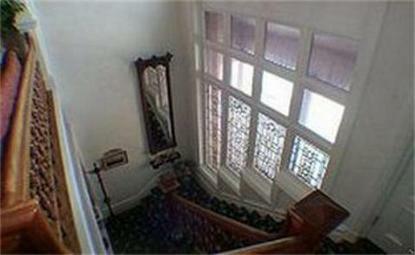 Guests will feel the charming elegance of this turn of the century mansion from the moment they enter. Each room has been lavishly furnished with period antiques that compliment each room there. Comfort and enjoyment is guaranteed. Complimentary ... Newspaper..Breakfast..Parking. Check in needs to be between the hours of 3-7p.m Also please make sure that all guest information is included on the reservationie. phone number, name, address. Within walking distance to downtown and tourist sites. Located at the base of the historical avenues district where the neighborhood is beautiful as well as architecturally diverse and historic.